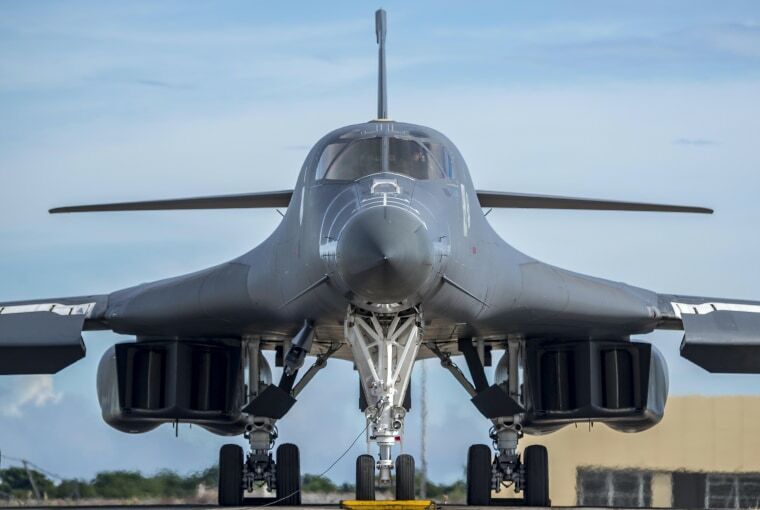 SEOUL, South Korea — The United States flew some of its most advanced warplanes — including two nuclear-capable bombers — to South Korea on Thursday for bombing drills intended as a show of force against North Korea. A South Korean military official confirmed the joint operation to NBC News, adding that the aircraft later returned safely to their home bases. The live-fire exercises came two days after Kim Jong Un's regime in Pyongyang fired a midrange ballistic missile over Japan, sharply raising tension in the region. Two U.S. B-1B bombers and four F-35 fighters participated in training with South Korean F-15 fighter jets, the official added. The planes took part in bombing exercises in a military field near South Korea's eastern coast. The B-1Bs were flown in from Andersen Air Force Base in Guam while the F-35s came from a U.S. base in Iwakuni, Japan, an official from South Korea's Defense Ministry told the Associated Press. He added that they simulated precision strikes against the North's "core facilities." The U.S. often sends warplanes to South Korea when animosity rises on the Korean Peninsula, which is technically in a state of war because the 1950-53 Korean War ended with an armistice, not a peace treaty. North Korea on Tuesday flew a potentially-nuclear capable Hwasong-12 intermediate range missile over northern Japan and later called it a "meaningful prelude" to containing the U.S. territory of Guam. North Korea has been maintaining a torrid pace in weapons tests this year as it openly pursues a nuclear-armed, intercontinental ballistic missile capable of reaching deep into the U.S. mainland. Experts say Kim is clearly seeking a real nuclear deterrent against the United States to ensure the survival of his government and likely believes that will strengthen his negotiating position when North Korea returns to talks. Pyongyang had earlier threatened to fire a salvo of Hwasong-12s toward Guam, which is home to key U.S. military bases and strategic long-range bombers the North finds threatening.